I borrowed that last one, Draw Furries, from my local library. It was pretty good, but I couldn't believe they only had one copy! I kinda liked Freaks (though I really liked how they went out of there way to never mention the "f-word"). Draw Furries seemed to be aimed squarely at the army of manga buying 14-year-old girls I keep hearing about when friends try to convince me to "get into" manga. When I saw the section on horses, I had to stop myself from checking for cooties. He's one of my favorite anime artists. 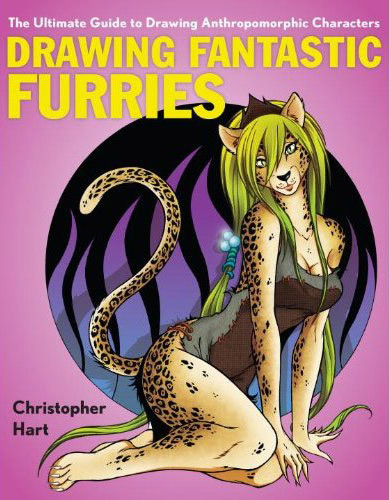 at least its a step towards making furry a little more mainstream? not a big fan of Christopher Hart to be honest. i've looked through some of his other art books and i haven't found them to be terribly helpful. And, very predictable, the character on the cover is female. I am laughing out loud deep inside.